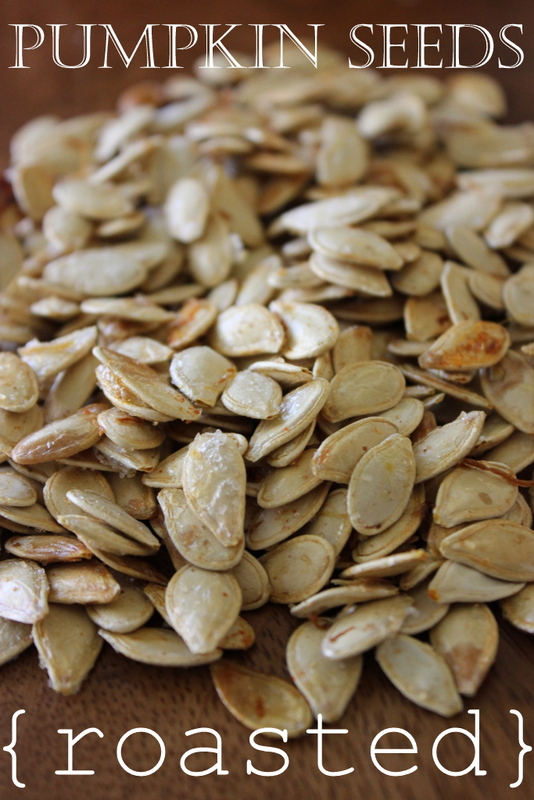 These pumpkin seeds are so easy to make, and they're just as nutritious as they are delicious. Try them over salads, in pasta and even on top of soup. Are you carving pumpkins tonight? We are! This is truly the start to the holiday season, and we have so many special ways we celebrate this time of year. As the kids have gotten older, we have allowed them the freedom to carve their own designs into their pumpkins all by themselves, obviously with supervision. And while they are working hard to scoop out the guts of their pumpkins, I am busy separating the pulp from the seeds, giving them a rinse and roasting them up for a snack we all love so much. 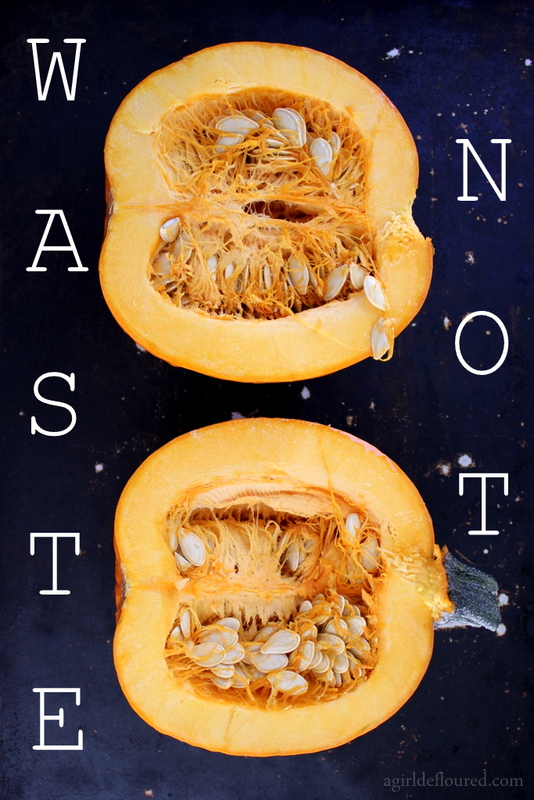 Please tell me you don’t throw away those beautiful pumpkin seeds…. 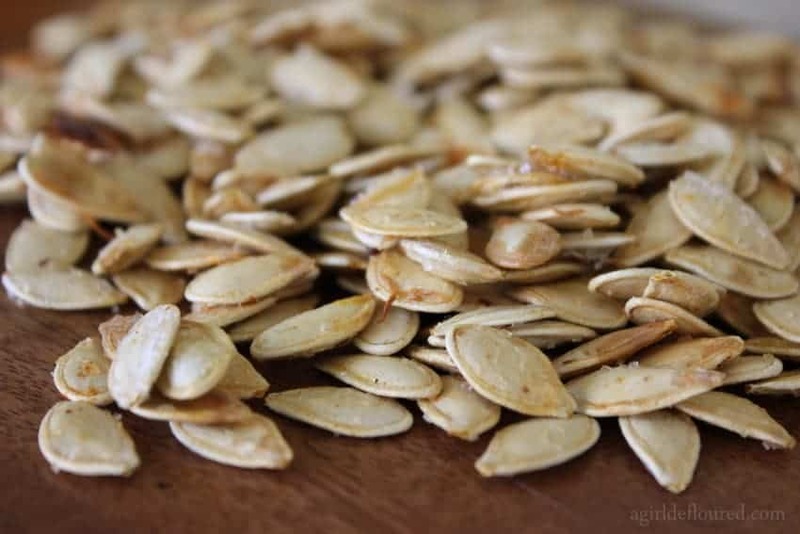 It is SO easy to roast the seeds–and they make the most delicious (and nutritious) snack. 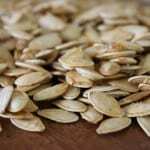 I often serve the seeds as a nibble during cocktails as our guests arrive on Halloween night, but we also love them over salads, pasta dishes and to top our chili and soups. I must make pounds of roasted seeds each year…and they are always sadly gone in a matter of days. Like the holidays themselves, they are a seasonal treat, not to be missed. Scrape the seeds out of one medium sized pumpkin, separate from the guts and gooey stuff (which you can discard), and rinse the seeds well in a colander. Pour the seeds onto a clean dishtowel and rub dry. Preheat oven to 300 degrees. Place seeds on a large, rimmed baking sheet and toss with the olive oil. Sprinkle evenly with the salt, paprika and cayenne pepper. Roast seeds for 30 minutes, stirring every 10 minutes, or until lightly golden brown and crunchy. Store in an air-tight container. This entry was posted in Appetizers & Snacks, Pumpkin Everything!, Recipes, Recipes & Techniques by Cooks We Love, Tips & Tricks, Vegan and tagged A Girl Defloured, Alison Needham, celiac, celiac health, food allergies, g-free, g-free diet, G-Free Foodie, gluten allergy, gluten free, gluten free diet, gluten free food, gluten free snacks, healthy snack, roasted pumpkin seeds. Bookmark the permalink.